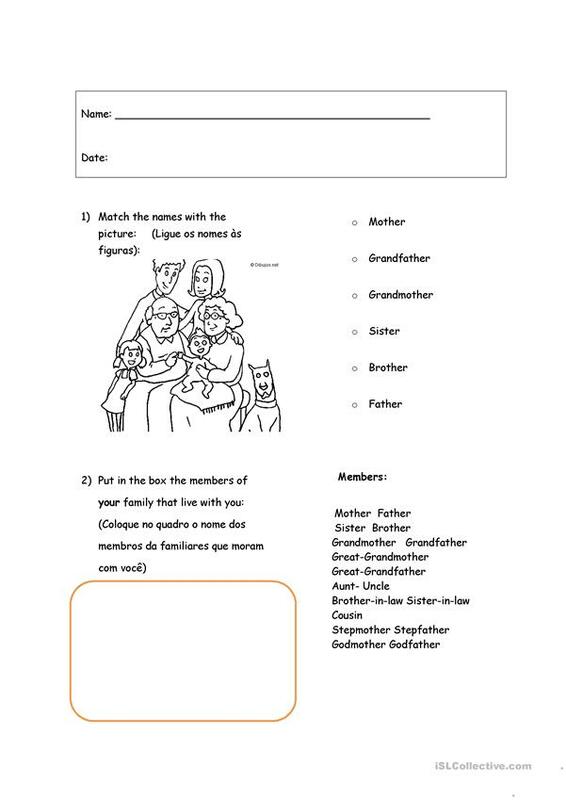 Students are supposed to do this exercises and learn about family members. it's really simple. The present downloadable handout is meant for elementary school students at Beginner (pre-A1) level. It is valuable for revising Word order in English, and can be used for enhancing your groups' Writing skills. It focuses on the theme of Family. Livya is from/lives in Brazil and has been a member of iSLCollective since 2011-08-18 05:08:40. Livya last logged in on 2017-03-13 18:42:36, and has shared 3 resources on iSLCollective so far.